Your immune system is a highly specialized front-line defense that seeks, recognizes and destroys the body's enemies. When functioning optimally, few viruses, bacteria, fungi, cancer cells and parasites are allowed to set up house and wreak havoc. So determined to destroy invaders that the immune system can often go awry and start damaging the body itself as seen in autoimmune diseases like lupus and rheumatoid arthritis. Boosting the immune system is not the answer as that can worsen allergies and autoimmune diseases. Creating a strong immune system that keeps you protected and does not become overactive is the answer. 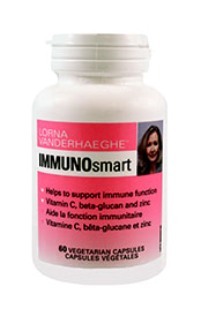 Immunosmart contains Beta 1,3/1,6 glucans, buffered vitamin C and zinc to keep your immune system strong. Immunosmart can be taken daily to support optimally immunity. Beta 1,3/1,6 glucans are a natural gluco polysaccharide derived from the cell walls of a highly purified, proprietary strain of Saccharomyces cerevisiae. Beta glucans support a healthy and strong immune system. Several peer-reviewed research studies have shown that when beta 1,3/1,6 glucan are swallowed the immune cells in the digestive tract transport them to the immune system throughout the body. One double-blind, placebo-controlled trial lasting 90 days in 100 healthy people given 250mg of beta 1,3/1,6 glucans who had developed upper respiratory infections had the total number of days they were sick and symptoms reduce significantly. We know that those who exercise strenuously are more prone to colds and flu due to the stress on the body. In one study it was found that those who took beta 1,3/1,6 glucans had improved immune response and less colds and flu post work out. Experts don't recommend immune boosters be taken as they can have a negative effect in the body. Several conditions like allergies are associated with an already overactive immune system and immune boosters can make symptoms much worse. Beta 1,3/1,6 glucans are not immune boosters but balance and normalize the immune response making for a strong immune system. One study that allergy sufferers taking beta 1,3/1,6 glucans the severity of their allergy symptoms, runny nose and itchy eyes reduced and quality of life improved. Vitamin C also known as ascorbate and ascorbic acid is the most important immune vitamin. Vitamin C is antiviral, antibacterial and anticancer. Vitamin C has been found to increase antibodies. Antibodies are produced to teach your immune system to recognize a virus and kill it quickly if you are exposed in the future. In the elderly simply taking vitamin C for 10 days before a flu vaccine will cause the immune system to make more antibodies to the vaccine thereby improving the benefit of the vaccine. Many older individuals do not benefit from vaccines because their immune system is too weak to make antibodies. Vitamin C also enhances glutathione, a powerful antioxidant that aids the immune system. Vitamin C also dramatically enhances natural killer cells the cells that destroy malignant cells. Buffered vitamin C - magnesium ascorbate, potassium ascorbate, calcium ascorbate which are far more absorbable forms and much easier on the stomach than straight ascorbic acid or ascorbate. The thymus gland is like the commanding officer of a very large army. Without a healthy thymus, the immune system can't do its job. Over 300 enzyme systems in the body require zinc. As little as 10mg of elemental zinc per day given to the elderly was found to improve the action of T-cells, immune cells that attack invaders. (from Saccharomyces cerevisiae containing minimum 75% beta-glucans). . . 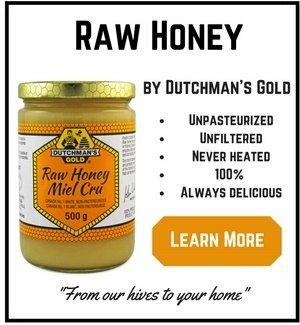 This product does not contain artificial preservatives, colours or sweeteners; no dairy, corn, soy or wheat. Suggested usage: Take 2 capsules per day with food.